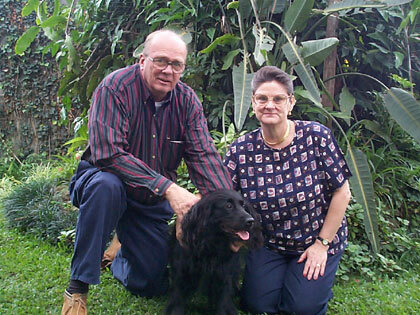 Wir bieten Ihnen Übernachtung und Frühstück mit einer costaricanischen Gastfamilie. Eine Komfortable, häusliche Unterkunft als angenehme Abwechslung zu den unpersönlichen Hotels. Sie erhalten so ganz andere Einsichten das Land. Entdecken Sie ein interkulturelles Costa Rica, eine sehr persönliche Erfahrung. Wir Beraten Sie, was Sie während Ihres Aufenthalts in Costa RIca alles erleben können, geben Tips, was sie abseits der ausgetrettenen Pfade alles erleben können. Der Unterschied zwischen einem Aufenthal bei einer Gastfamilie und einem Hotel (oder sogar ein B & B oder Inn) ist, dass Sie bei uns nicht nur einer unter vielen anderen Gästen sind. Sie haben Ihr eigenes Zimmer und Teilen des Rest des Hauses mit Ihrem Gastgebers, als ob Sie zur Familie gehören würden. Für Touren gibt es eine grosse Auswahl, vom Wildwasser-Rafting über ausflüge auf einen Vulkan bis hin zur Kreuzfahrt in den blauen Pazifik, und wir freuen uns, Empfehlungen und Reservierungen für Sie vorzunehmen. 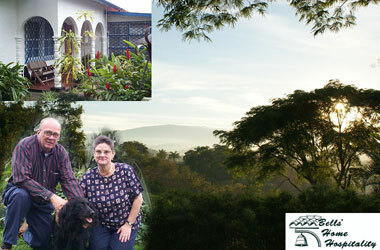 Bed and breakfast with a Costa Rican host family. 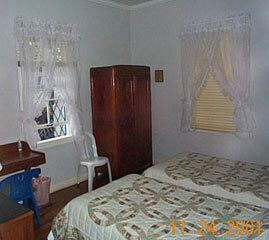 Comfortable lodging with home stay accommodations, a pleasant change from impersonal hotels. 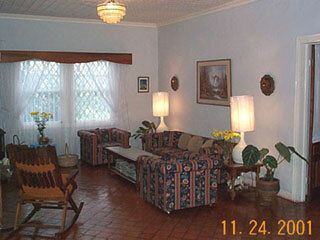 Your family stay will give you a different insight to Costa Rica. Discover a cross-cultural Costa Rica, a highly personalized experience affording you a one on one orientation to this unique country with tips on what is happening while you are here, what's to see, how to get about and around off the beaten path, and where to shop for bargains! Besides visiting Costa Rica, you will experience it! 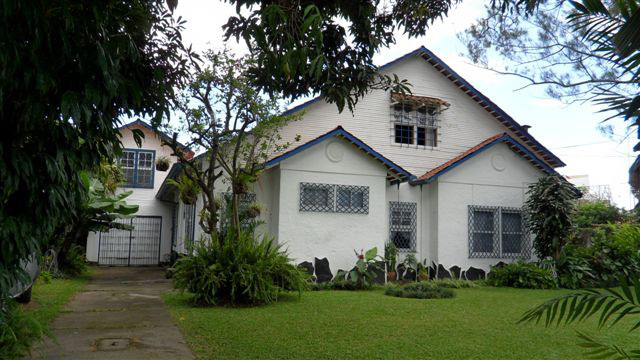 The difference between a HomeStay and a hotel (or even a B&B or Inn) is that with us you won't be just one among many other guests, which will give you the opportunity to get a good exposure to 'Costaricana'. You'll have the guest room of your host home, and if you like a private bath as well, and enjoy sharing the rest of the home as though you were one of the family.If you'd like to take tours, there are many to choose from, from whitewater rafting, to volcano viewing, and taking a cruise in the blue Pacific, and we'll be pleased to make recommendations and reservations for you. There are also many, many excursions you can do on your own to see the countryside at your own pace. 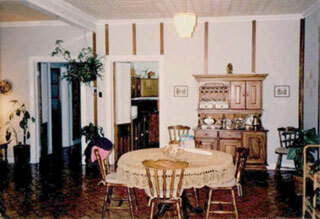 We can show you the way, and will share with you our own experiences and those of our many prior guests. If you want help with an itinerary, we can do that too, it's part of the service. We've been doing it since 1990. As you can appreciate, it's really nice to come back to a real home after a full day of sight-seeing.Thank you again for your interest. 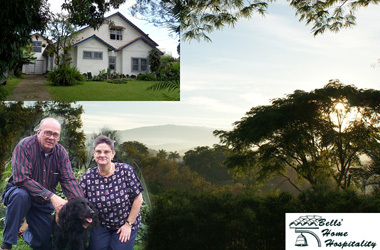 We're certain you will find a BHH HomeStay most rewarding, as have our many guests to date. We look forward to hearing from you.